Matrox Imaging is pleased to kick off 2019 with the addition of new representatives to their global network. One of the many advantages offered by Matrox Imaging, customers benefit from a global network of distributors who offer complementary products and support, and integrators who build customized vision systems. These relationships are built on years of mutual trust and span the globe, ensuring customer access to only the best assistance in the industry. Brian Durand and his team are joined by Neil Johnson, a representative with many years of experience representing Matrox Imaging with James R. Johnson. Together, Neil and Brian will distribute Matrox Imaging’s product lineup under the moniker Machine Vision Store, which will be the official representative for Minnesota, North Dakota, South Dakota, Nebraska, Kansas, Missouri, and Iowa moving forward. 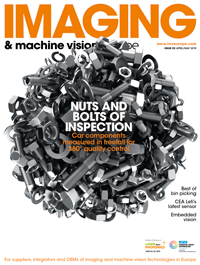 Machine Vision Store is affiliated with i4 Solutions, a Matrox Imaging-authorized machine vision integrator that has offered AIA-certified integration services for many years. In addition, Beijing Microview Science and Technology Co., Ltd is a new distributor in the mainland China region. Headquartered in Beijing and with nine other offices across China, Beijing Microview has been in business for more than 20 years. Their sales representatives and engineers, including product managers, possess deep knowledge of the Chinese market as well as great familiarity with Matrox Imaging products. Beijing Microview Science and Technology will exhibit Matrox Imaging products at Vision Shanghai, booth 5442, taking place March 20 to 22, 2019.